Choose from 5 hotels and guest houses in Fife. Shown below a just a selection of the hotels available. To search within an area please use the menu on the right. Talbot Hotel - A fine example of Victorian architecture, this charming, family-run house provides an array of beautiful rooms, from a traditional public bar to a modern airy lounge and 3 contrasting restaurants. Relax in the comfortable public areas, complete with large settees and open log fires, before retiring to one of the 5 en suite guest rooms found upstairs, with stunning views of the surrounding countryside and the Talbot's own private stretch of river. The friendly and efficient staff at The Talbot pay close attention to every detail so as to ensure that no matter how long or short your visit, it will be a thoroughly pleasurable one. 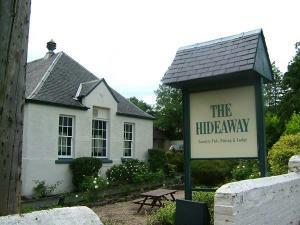 The Hideaway - Situated in the beautiful countryside surrounding Scotland's ancient capital, the friendly, relaxed atmosphere of this family-run residence offers the perfect setting for a relaxing break. The perfect base from which to explore all that the area has to offer, this traditional country inn is set in the beautiful Fife countryside, yet only 5 minutes from Dunfermline town centre and 20 minutes from Edinburgh city centre. Warm country charm characterises the Hideaway, which provides comfortable accommodation and a cosy country inn style restaurant/bar with a locally unrivalled reputation for food and friendly service. The Inn At Lathones - At St. Andrews' oldest coaching inn, enjoy open log fires, award winning food and really friendly people to look after you. This charming 400 year old coaching inn is situated just 5 miles from the famous golfing town of St. Andrews. 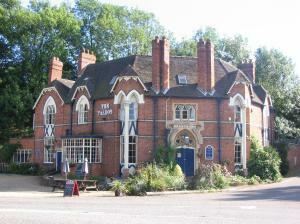 We pride ourselves on the warmth of our welcome and the great food and ales we serve. Enjoy all this in cosy surroundings with open log fires and lots of things to do both within the inn and surrounding area. The restaurant has an award winning chef who uses only the finest of local produce. Inglewood Bed and Breakfast - In the heart of Inverkeithing, just a few hundred metres from the train station, this charming bed and breakfast offers light, airy rooms, free Wi-Fi and free secure off-street parking. Originally built in 1936, the Inglewood Bed & Breakfast is a comfortable family home offering bright, attractive accommodation in 3 twin bedrooms. Two rooms have en suite facilities and one has private bathroom facilities outside the room. All of the clean, comfortable rooms are decorated and furnished to an excellent standard. Each room has a TV, a DVD player and tea/coffee making facilities. A full, traditional cooked Scottish breakfast is served in the light, spacious dining room. There is an outdoor children's play area in the garden. The station is just a 5-minute walk away and the bus stop is only a minute from the front door. The M90 motorway is less than a mile (1.6 km) away and Edinburgh is just 12 miles (19 km) from Inverkeithing. 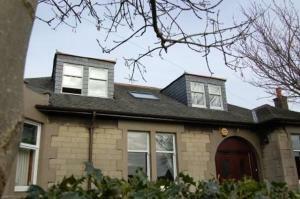 Five Pilmour Place - Five Pilmour Place is located close to the 18th green of the Old Course and a slow 2-minute walk from the heart of St Andrews. Five Pilmour Place is traditional and contemporary, comfortable and convenient. The luxurious, privately owned guest house has 6 en suite bedrooms, a spacious guest lounge and a dining room. Recently refurbished rooms are individual and tastefully decorated.